We have seen recently that during the U.S. President elections, many people got influenced by rumours and as a result a demand of putting a restriction on such sources is ramping up. There are multiple sites on the internet that produce fake news and mislead people. Usually they do it get more traffic and generate revenue and their viewers also don’t react much and read content of such websites for entertainment purpose. However, at times the rumours spread by such sites increase the distraught a lot of people and incite large-scale riots. It is true that all online magazines do not publish fake news. Infect, a legitimate news site or magazine will never do that. Most of the time we don’t go to this website directly. Instead, we receive a lot of information on our social networking sites, it is always difficult to verify their authenticity. Though, few people have taken a step ahead in this direction by bringing a solution. 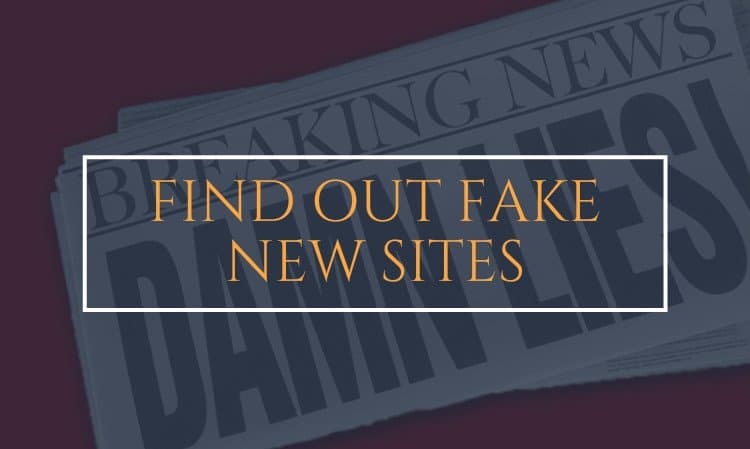 In this article, we have included two Chrome extensions that will help you to find out fake news site by just downloading them. So, if you want to find out fake new site, download and enable any of these two Chrome extensions. It is a newly launched Chrome Extension which automatically detects websites, producing satirical and fake news articles on Facebook. 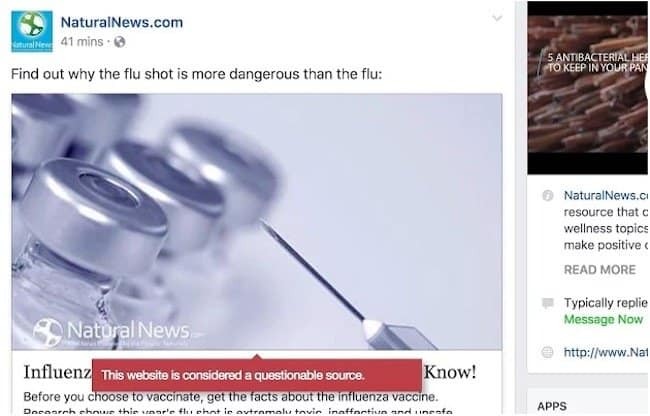 It also identifies any news source which is contentious and displays a banner on the screen stating that “the website is considered a questionable source”. The functionality of B.S. Detector Chrome extensions depends on a list which is created manually and has the names of those websites that present false information as a news. If you come across any of the fake new sites, a pop up or banner will come that shows “This website is considered a questionable source”. Fake News Alert is another browser extension available for Google Chrome that warns viewers by displaying alert on the screen when they visit any misleading website. The extension is developed by Brian Feldman, who himself is a journalist of a popular magazine. Alike B.S. Detector, Fake News alert also relies on a list of websites that are known to publish fake information as news. The list is manually collated by a professor of media studies and includes several hoax sites like Breitbart, InfoWars and satirical sites such as ClickHole. When you visit any of the sites mentioned in the list, an alert stating “the information on this site might be false or misleading” pops up on the screen. So, this is how you can find out fake news site in Google Chrome using these two Chrome extensions. Since both Chrome extensions depend on manual lists created by journalists and professors, some people may question their own authenticity. There is a strong reason behind it, The elected president of U.S. claimed during a debate that media is biased and many people believe that he was correct. Some viewers might think that the extension is preventing sites that support a particular person or ideology. Though, after using the extensions you won’t face any such issue because the extension only alerts you and doesn’t stop the content of any websites from being displayed.